The Roscoe Signature Custom series. There wll come a point in your life as a musician when you'll be ready for a level of achievement that can only be reached with imporved tonality brought out by the craftsmanship of your instrument. The Roscoe Signature Series will take you there. A multitude of options are yours for the choosing with the combination of highly figured, exotic wood carved tops. A five-piece, quarter sawn, Maple & Purpleheart neck with graphite reinforcement bars adds to the strength and beauty of the guitar. Various choices for fingerboard woods provide the custom look and feel, and you can choose from custom electronics to make it sing. 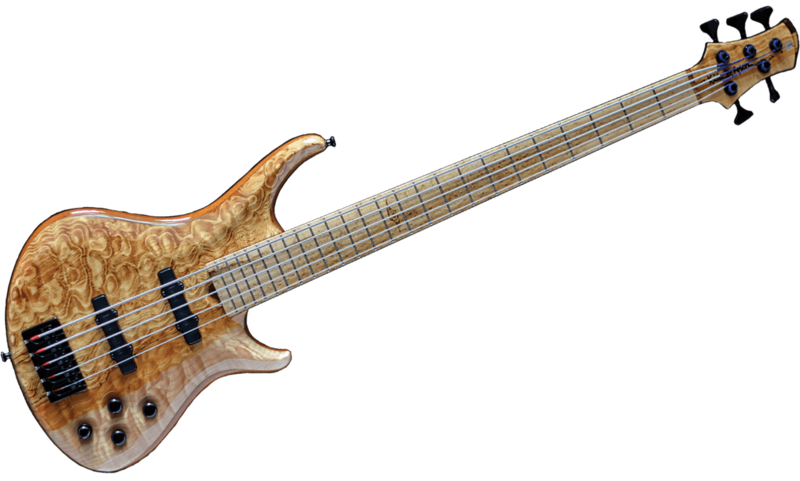 The Rosoce Signature Series bass guitar offers endless possibilities to help you create your distinctive sound, at a starting price of $4,575.00.